This letter was originally circulated on change.org from June 27 through December 16, 2016. Below is an open letter to the Massachusetts Institute of Technology (MIT) asking MIT to disclose whether confidential mental health information was used in 2016 for punitive actions that restrict access to new-student housing at a historically LGBT- and minority-friendly residence operated by MIT. The letter also requests any substantiation of blanket accusations, made on behalf of four very senior officials at MIT, of criminal behavior (illegal drug use) by those at this residence. We the undersigned, being past, present and potential future members of the MIT Community, mental health providers and professionals, and interested citizens ask that MIT disclose whether it used confidential mental health information as the basis for punitive actions announced on June 10, 2016. We seek other explanations as well. On June 10, 2016, MIT officials announced closure to an entire freshman class of one of its facilities, a 100-year old, 140-person residence with a decades-long history of LGBT concentration , citing, among other issues, illegal drug use. No substantiation for these comments about criminal drug use has been put forth to date. The senior officials' comments were made as publicly as possible via sudden, simultaneous posting worldwide on MIT's official web site , in a letter to the students' parents , an interview with the campus newspaper , letters to the alumni of the residence , and only lastly, to the residents themselves . These comments, branding everyone in the residence as an illegal drug user, were made so as to impede as much as possible any input or comment from any source. The residents were caught completely unawares , and the campus news interview was held, at the officials' initiation, just hours before press time and with no advance clue as to the topic, preventing the interviewers from preparing intelligent questions or seeking comments from those affected . Subsequently, the closure decision was announced on MIT's Housing web site for prospective students and their parents, in large brightly-colored red letters , and with a link to the official MIT web page  with the comments about illegal drugs. The decision to close off this residence to an entire class has met with widespread opposition from the present and past residents and considered harmful by many . The suddenness of the decision, lack of involvement of those affected, and widespread communication give it a strongly punitive nature. With no justification for these incendiary comments, and putting aside the possibility that MIT is simply making them up -- while at the same time not being so naive as to deny that MIT doesn't have any university's issues with drugs -- we are concerned about what fact basis MIT has for making them with such confidence as to be trumpeted around the world, without the benefit of any visible input from those about whom they are made. In particular, we are concerned that MIT may have used confidential mental health survey data , the only source that seems possible to arrive at such statistics at residence level. We are more specifically concerned about the prospect of MIT's surreptitiously cross-referencing confidential student survey identities with the out-of-survey MIT student residence directory to summarize the data, in a way that could not have been anticipated by those taking the supposedly confidential survey. The above concern notwithstanding, in the interest of fairness to the vast majority of law-abiding students who do not use illegal drugs, MIT should substantiate the comments made about them by senior officials  in any case. It is too much of a burden to put on a student that he needs to worry if taking a survey honestly could bring harm to himself and his community by having the results of that survey used as the basis for foolish and punitive decisions. It is further too much of a burden for us to worry about what other residence level decisions MIT could make with data inappropriately summarized by piercing the wall of confidentiality. Do we now worry next about closure of houses with high rates of depression? We ask MIT to disclose the basis for the illegal drug comments, just as publicly as they were made. 52 of 198 signers left these comments. Providence, RI, USA September 18, 2016 The MIT administration needs to be held accountable for its actions and their affect on the MIT community and MIT's reputation. 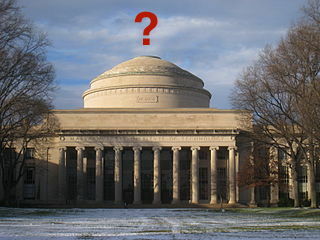 "The (appearance of) unethical collection and use of data is a stain on the reputation of MIT. Furthermore, I resent the effect it has on my own reputation as an alumnus and former resident of Senior House." As a social scientist & researcher myself, I am deeply disappointed in how MIT has handled this entire affair. Los Angeles, CA, USA August 2, 2016 I disagree with the institutes actions and reasoning for the actions. Cambridge, MA, USA July 13, 2016 Over and over, MIT has shown a lack of respect for students by betraying trust and undermining carefully negotiated agreements. How can they claim to stand for anything other than treachery??? Somerville, MA, USA July 9, 2016 If MIT really wants to tackle mental health problems it needs to be transparent and work with students. Many MIT students are (rightfully!) suspicious enough of the administration and on-campus mental health to not speak up when it could help them and the community, and now they're even more likely to keep quiet. Evanston, IL, USA July 8, 2016 I stayed in Senior house with my brother. I Am a health professional and believe confidential mental health information needs to be kept confidential. No punitive measures should ever be taken. India July 8, 2016 I wrote an open letter to the Chancellor about this survey, sent to the email address meant for community concerns. That was three weeks ago. No response. Medford, MA, USA July 8, 2016 I am deeply troubled by the apparently questionable ways this data was obtained and used. Their refusal to respond to these transparency requests reflects badly on the institution. Eugene, OR, USA July 6, 2016 confidentiality when promised, and clarity of communication regardless, are crucial to successful recovery, both for people and for institutional bodies of people, when under duress. MIT's administration are hired partly by the students, and must come clean about their use of student data. Ipswich, ENG, United Kingdom July 5, 2016 1. I am concerned about the Institute's ethical behavior falling short of its high standards and undermining trust for studies in general. This is a teaching moment to discuss what happened and roll back the actions taken. 2. Every city needs its Greenwich Villages. MIT in particular needs the leavening of concentrated diversity to offset the Institute Grey of conformity that could otherwise prevail in an institution whose historical strengths have been in defense and industrial fields. Senior House has been one of MIT's Greenwich Villages for more than four decades and it is important to us as alumni and members of the MIT community that it continue in that role. At the same time it seems clear that it is necessary to find ways to support students better. These must rely on trust and that trust must be rebuilt, starting with honesty about the survey and its uses. Cambridge, MA, USA July 5, 2016 Very disappointed/angered in/by the admin's handling of this. Directly contradicts claims of concern for student mental well-being, probably improper data analysis, and likely involves unethical data collection. Expected better from MIT admins. Cambridge, MA, USA July 2, 2016 Freshmen should have a chance to join the amazing family community of Senior House. Misused data should not bar MIT students from finding belonging. Cambridge, MA, USA June 30, 2016 The administration seems very out of touch with the community it is serving, and disrespects that community by acting first and asking questions later. Practice better what you teach, MIT administration. Washington, DC, USA June 29, 2016 Senior House was a large part of the reason I survived MIT. New Orleans, LA, USA June 29, 2016 I am signing this petition because I think it is reasonable to request a full disclosure of all information used in the actions that were taken by MIT. It did seem excessively public and shameful to the past and current residents of Senior house. Publicly posted articles, essays and letters can be used to stereotype character and may possibly negatively interfere with job or political prospects. Boston, MA, USA June 29, 2016 MIT should set a good example for appropriate use of scientific study data. San Mateo, CA, USA June 29, 2016 I lived in Senior House 2003-2007. Cambridge, MA, USA June 29, 2016 Respect for one's experimental subjects is an important part of science, and respect for one's students is an important part of education. MIT, as an entity, has a huge impact on the science and education that happens in my life and in my communities. Holding each other to high standards on the values we hold dear is an important part of engaging in a healthy community, and since I want MIT to contribute positively to our community, this closure is important and necessary. Cambridge, MA, USA June 29, 2016 Ethics and trust. Cambridge, MA, USA June 29, 2016 The use of data from a claimed confidential survey in order to publicize claims about illegal activity is unethical and should be stopped. College Park, MD, USA June 29, 2016 Senior Haus alum, 2011. This is not acceptable. Cambridge, MA, USA June 28, 2016 I think that the administration needs to let us know if they used data in an unethical manner. Cambridge, MA, USA June 28, 2016 This situation was handled very poorly. Everyone was blindsided, and we still don't have answers. Somerville, MA, USA June 28, 2016 This has been mishandled by MIT, and students should not have to worry about future punitive actions from the violation of their anonymity and confidentiality. Woodinville, WA, USA June 28, 2016 Transparency is required here. Do what is right, MIT! Senior house is the place where many students find their tribe for the first time in their lives. Every student is different and the diversity in living groups is crucial. Someone who thrives at senior house would wither in new house. Don't take away choices, especially based on non-robust, questionably obtained data. Not cool, MIT! Cambridge, MA, USA June 28, 2016 I lived in Senior House my entire undergraduate curriculum. I didn't drink or do drugs. I went on to an M.Eng, a Ph.D., gainful employment, and entrepreneurship. The stats MIT has chosen to make public show that the majority of residents of Senior House are successful in their academic careers. While it certainly makes sense to try to help those who are not doing as well, it makes no sense to publicly embarrass the entire dormitory, and its alumni to begin with; to do so on the basis of improperly-used confidential information is downright shameful. Full disclosure: I took up drinking in grad school, of which there is copious evidence on the internet. This is not Senior House's fault, but it might have been Course 6's. Perhaps we should stop admitting grad students into course 6. Cambridge, MA, USA June 28, 2016 I never lived in Senior Haus, but I am signing this petition because I think this particular side of the issue impacts all of MIT. (Additionally, I had a number of friends in SH and am pretty upset with the whole situation). We have had a number of issues with mental health on campus in the past, and there is always talk of people afraid to get help because of the stigma. I never felt like there was any stigma on campus, so I was unsure of this common sentiment. But now I understand where the stigma is coming from. Not our peers, but the administration. People are already afraid to go to MIT Medical. The school is now giving the impression that being honest about these things might lead to problems not only for the individual who seeks help, but potentially even for their living group. I am lucky enough to be able to pay out of pocket for an out of insurance provider, but that is not feasible for many current undergrads, and it is essential that these students are able to trust MIT. Cambridge, MA, USA June 28, 2016 Supporting MIT students' mental and physical safety is extraordinarily important - which is why we have to do it /together/, with transparency, and with investigational rigor. Let's find solutions that will work, towards our shared goals, based on the realities of the situation (not hearsay or stereotyping), in the spirit of collaboration and respect. Cambridge, MA, USA June 28, 2016 The (appearance of) unethical collection and use of data, is a stain on the reputation of MIT. Furthermore, I resent the effect it has on my own reputation as an alumnus and former resident of Senior House. San Antonio, TX, USA June 28, 2016 The MIT administration has historically never supported the undergraduate population, and now they are singling out one group as a scapegoat to try and improve their graduation statistics. If this level of manipulating data is where the MIT administration has stooped, I will no longer trust or believe any research that comes out of MIT. Boston, MA, USA June 28, 2016 I am a 2014 alumn who is offended by the decisions taken against Senior House residents. Cambridge, MA, USA June 28, 2016 Not a Senior House resident, but I went to MIT. If this is how MIT determined their findings (i.e. using confidential information), then all students need to know. I know there were certain things I filled out on a few of those questionnaires that I only said because I thought there would be no link back to me. Cambridge, MA, USA June 28, 2016 It's the height of hypocrisy to claim to be using a "data based-approach" to solving dorm problems if those data are, at best, questionable, and still entirely undisclosed. Please show that you respect our community enough to make sure your data were substantiated before imposing such drastic actions on Senior House, and release the numbers behind your reasoning. McAllen, TX, USA June 28, 2016 MIT must set an example for the rest of the world regarding proper use of research data. I am very worried that the Institute's administration may have failed in this responsibility and harmed the fabric of the MIT community in the process. Please respond to these concerns quickly and transparently; if misuse of data occurred, we must make sure that the individuals responsible are held to account and that appropriate steps are taken to ensure that no such misuse occurs again. Trust between students and alumni has already been seriously damaged. Woburn, MA, USA June 28, 2016 Full disclosure of data sources and methodology is required here. Austin, TX, USA June 28, 2016 It is really concerning that MIT refuses to answer pertinent questions related to the proper use of information gathered through this survey. Montreal, Canada June 28, 2016 Senior House provided me and hundreds of other students with a safe space from which to attend university - a space in which you were able to be honest about who you were without incurring the censure of your peers. It was a place in which those who used drugs were encouraged to be honest, not least because it fostered an environment where those who had substance abuse problems were supported in eventually seeking help for them at the point where they could acknowledge that the problems were too big to manage themselves. Punitive actions such as closing the house to freshmen on the basis of anecdotal evidence or, worse, what was meant to be confidential data shared in a purportedly-anonymous survey, does NOT help to address the underlying issues students face. All it does is drive them underground, seeking to hide their issues. MIT needs to disclose where this drug-use data came from. At best it came from ridiculously overblown stereotypes about Senior House. At worst, it came from betraying the trust of countless undergraduates who responded to the Mental Health survey honestly in the belief that their responses were being treated confidentially, and could not be used to punish their dormitory for their individual actions. Palo Alto, CA, USA June 28, 2016 I believe this situation has been handled very badly. Arlington, MA, USA June 28, 2016 I believe MIT owes the residents of Senior House an explanation. San Francisco, CA, USA June 27, 2016 As a data scientist, I am concerned about violations of study subjects trust - it jeopardizes the field's ability to do future beneficial work. OCALA, FL, USA June 27, 2016 This is simply the right thing to do. San Francisco, CA, USA June 27, 2016 Living in Senior House was critical to my success at MIT and I am very concerned that the Institute is looking to deny this experience to others. Additionally, I am a scientist. I am very concerned that the institution where I received my training may be conducting research in a less than ethical manner. New York, NY, USA June 27, 2016 The Institute has a history of issues with misleading students about the confidentiality of different interactions. It's nice to see, even once, that they're being called out for it. Princeton Junction, NJ, USA June 27, 2016 I believe that any parent, such as myself, who would hope to send his son or daughter to MIT, is owed an explanation here. Cambridge, MA, USA June 27, 2016 Sadly, I believe that many students will not answer future surveys honestly because of this action.